All of Jenny Harper’s novels have recently been given lovely new covers by her publisher Accent Press. I read Mistakes We Make by this author last year and really enjoyed it – you can read my review here. 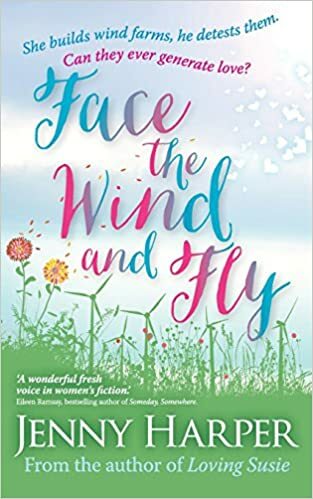 I have another to read – Face the Wind and Fly – but I think it may be a few weeks before I get to it. In the meantime, Jenny has written a guest post about bringing her novel to life. You can also read an extract from the beginning of the book and there is the chance for you to win one of two copies courtesy of the publisher. It sounds obvious that if you’re writing a novel you need to know as much as you can about your characters and the situation you set up, but it’s surprising how many books I read where the author just hasn’t done enough research. I’ve even come across errors in novels by two of my favourite writers (Jojo Moyes and Tracy Chevalier). I don’t delight in finding them. Actually, I dread the same thing happening to me, and having recently embarked on my first historical, I realise just how difficult getting the detail right can be. Good research makes a novel come alive. It’s not just about street names and descriptions of the countryside – it’s about detail and depth. When I wrote Face the Wind and Fly, I did as much research as I could about wind farms. I studied the pros and cons, tried to get inside the heads of people who are passionate about them and those who detest them, to understand why they can arouse such visceral reactions. Finally, I asked Scottish and Southern Energy if I could visit a big wind farm, and they were kind enough to host me for a day. I was taken to the Griffin site near Aberfeldy, in rural Perthshire, and was able to walk around, talk to the engineers and communications staff, and discover a lot more how they relate to local communities when new projects are being planned. SSE offers good incentives to try to get locals on side. You might see this as a bribe, or you could view it as a means of ensuring that locals are meaningfully compensated for the impact that construction or the presence of a wind farm might have. At any rate, for me the information threw up another storyline. I created a school garden in Summerfield (funded by my fictional renewable energy firm), in which my heroine Kate Courtenay and the local gardener, Ibsen Brown, both become deeply involved. The strand brought depth and another dimension to the story, and offered a neutral ground where these two protagonists/antagonists could meet and see a different side to each other. With every novel I’ve written, I’ve found people are really willing to help and to share their expertise. From journalists and news photographers in Maximum Exposure to curators and gallery owners in People We Love, from event managers in Mistakes We Make to Human Resource managers in Between Friends, a great many lovely people have contributed in no small way to my stories. I encountered quite a lot of reticence when I tried to find the central plot point for Mistakes We Make however. It involves a corrupt solicitor – and none of the lawyers I know was that happy about suggesting how fraud might be committed by one of their kind! One even complained that I was, ‘forcing him to think like a criminal’. In the end, the Law Society of Scotland (which has to deal with such cases), were a great help. Finally, in Loving Susie, my heroine is a Member of the Scottish Parliament (of undetermined political party). As my husband filled the same role for twelve years, I was very familiar with the building, and was lucky enough to have help to hand for details of procedure and daily life in the Parliament. I’ve always found people to be intrigued and delighted to be asked to help, even when I was an unpublished author. I’m so grateful to them – their knowledge and experience has added richly to my work. Now – I’m cooking up a story that involves a luxury hotel chain in the Maldives, a Michelin starred restaurant in Sweden and a firm that makes private jets. Who will offer to host my research trips …? ‘You’re late,’ Andrew Courtenay said unnecessarily as his wife Kate hurried into the kitchen, a blur of arms and legs and shopping. He had already changed into his dinner suit and was lounging against the island unit in the middle of the room sipping white wine, a perfect picture of relaxation and readiness. Kate dropped the bags and stared at him. Martyne Noreis was the eponymous hero of Andrew’s bestselling medieval murder mysteries. Nine of them, the tenth to be published shortly. ‘Martyne was difficult?’ she echoed, thinking of the project she’d just been handed and wondering what could possibly be so challenging about a character that had never existed. Andrew wrote his novels in the small room next to the front door of Willow Corner, their home in the pretty conservation village of Forgie. His study overlooked the garden on two sides and had book-covered walls and a leather sofa. In winter, Andrew lit the fire. While Kate scurried into whatever the weather chose to throw at her, frequently with her hard hat in one hand and jacket and boots in the other, Andrew sidled down the comfortably carpeted stairs a civilised hour or so later, put a match to the kindling, and settled to his thoughts without ever having to put a toe out of the door. Where Andrew’s life was lived from the study, Kate spent much of hers at the top of some wind-blown hill staring at wind turbines, or where they would shortly appear. Kate liked wind turbines, which was good, because her job was to build them, whole farms of the things. Now, though, standing in the kitchen in mud-spattered trousers and still with her high-visibility vest over her jacket, she wondered why the hell she’d picked engineering when there must be a hundred other less challenging careers she could have chosen. Sometimes she felt she had to fight with the fictional Martyne and his perfectly beautiful, perfectly sensible wife Ellyn for Andrew’s attention, but she and Andrew had agreed their division of labour years ago. She was to be free to pursue her ambitions as an engineer, he to follow his dream of writing and, because he worked from home, to look after their son Ninian. Somewhere in the small print of that agreement lay all the dull minutiae of daily tasks, negotiated and renegotiated across the years. If you like the sound of the book from that extract, click the link below for your chance to win one of two ebook copies. You can enter up to midnight on Wednesday 22nd November (UK time) and I will contact the winners within 24 hours. This giveaway is open internationally. I’ve been so lucky to have made a living out of what I love doing best: writing. One way or another, I’ve always written. Stories as a child, anguished poems as a teenager, essays as a student (though taking a degree in English Literature certainly put me off thinking I could write fiction! ), then a career as a non-fiction author, editor and freelance journalist, and – finally – a novelist. I was born in India, and it’s definitely in my blood. I grew up in England, and have lived in Scotland for most of my life. This was definitely a homecoming, as I have Scottish ancestry on both sides of my family, going way back – and it’s Scotland I love to write about. There are a million other things I love doing too – making jewellery, painting, reading (of course), walking, seeing friends and family – and I feel blessed to be able to live in a warm local community, in the very beautiful city of Edinburgh. I hope you enjoy coming with me to the places I love best! Thanks Anne. Looking forward to reading this one myself. There might be a queue for that position Linda! 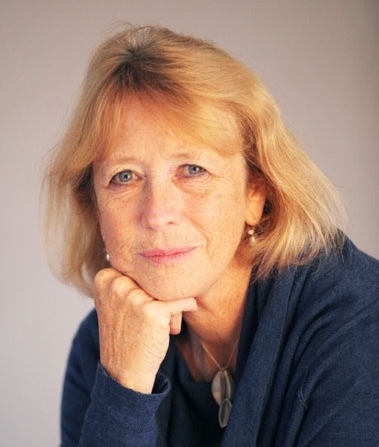 Check out this guest post from Jenny Harper on bringing your novel to life from the Portobello Book Blog.